Laura Mercier Silk Creme Foundation is a rich and luminous foundation offering full coverage while hydrating and protecting the skin. 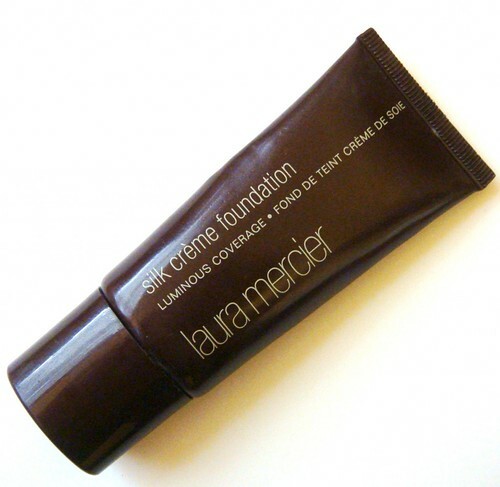 Offers the most coverage out of all Laura Mercier's foundations oil-free, fragrance-free and extremely long wearing. Hydrates and protects while causing fine lines and imperfections to optically disappear through its advanced light-reflecting qualities. Ideal for persons with rosacea or hard-to-cover pigmentation. No I hate it. I wish I loved it as soooo many people rave about it but it just didn't do my skin any favours. It accentuated my pores and wrinkles and made my skin look super cakey (even if I applied the smallest amount). If I were you I’d buy one of these foundations instead.. I agree. I don't particularly like this foundation either! I'm so glad you posted about this. Such an honest review. I LOVE THIS PRODUCT! This is actually all I use! I guess it just depends on different sking types, but I can't go a day w/ out using this! Really? I have never tried it but I thought is a good product. Thank you so much for sharing your honest opinion!! great review thanks! And for the price I'd want it to be fabulous. I really like Bourjois products too, they seem to last all day and have fabulous coverage. Thanks for the honest review and I'm sorry this did not work for you.